India is a country in Asia. It is located on the Indian peninsula. A "peninsula" is a piece of land that has water on three sides. 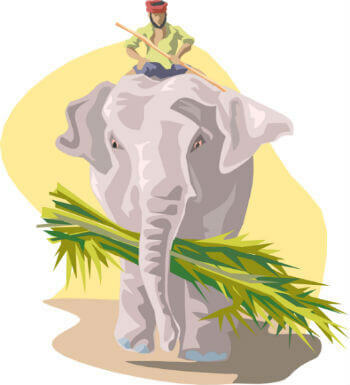 India has a long history with many different cultural influences. "Influence" is when one person or thing has an effect on another person or thing. The culture in India has been influenced by the many different ethnicities (kinds of people) who live there, as well as by other countries and cultures around the world. The two other cultures that had the most influence in India are the Persian culture and the Islamic culture. Because of its rich history and culture, India is a country of many beautiful places and traditions. Perhaps the most famous and the most beautiful of these places is the Taj Mahal. The Taj Mahal is a perfect example of the combination of Indian, Persian, and Islamic cultures you find in India. In addition, it has one of the most romantic stories of all time. 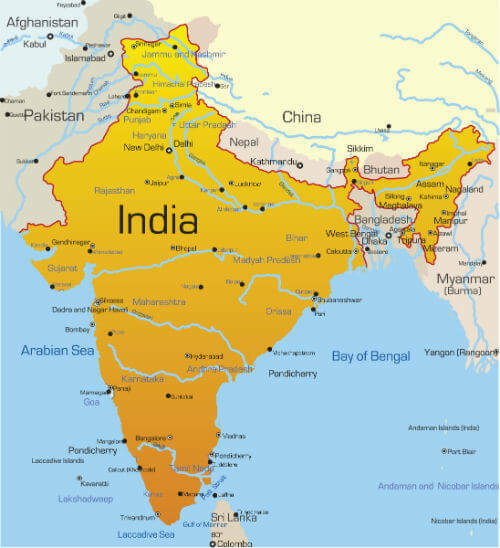 In the 1600s, India was ruled by the Mughal empire. The emperor at the time was named Shah Jahan. Shah Jahan was one of the greatest emperors of the Mughal empire. During his time as emperor, India was very prosperous. "Prosperous" means wealthy or rich. Shah Jahan built many monuments during his rule, including the Taj Mahal. a Monument is a special building that remind us of a famous person or event. At that time, emperors often married more than one wife. Shah Jahan had five wives. While he loved all his wives, it was his third wife, Mumtaz Mahal, whom he loved the most. Shah Jahan and Mumtaz Mahal married in 1612 when Shah Jahan was 20 years old. Together, they had 14 children. Mumtaz Mahal died shortly after their 14th child was born. Just before she died, she asked Shah Jahan to make her 4 promises. First, he had to promise to build a monument to their love that would be her tomb. A "tomb" is a place where someone is buried after they die. Second, he had to promise to marry again. Third, he had to promise to take care of their children. Fourth, he had to promise to visit her tomb every year on the anniversary of her death. Shah Jahan, who was filled with grief (sadness) promised he would do each of these four things for his beloved wife. In 1631, the same year that Mumtaz Mahal died, Shah Jahan began construction on the Taj Mahal. It is said that it took 20,000 workers over 20 years to build the Taj Mahal. It took over 1000 elephants to bring in the materials like marble and stone to build the monument. Finally, the monument was complete and Shah Jahan was able to bury his wife in her tomb. Shah Jahan was able to keep his first three promises: to build a tomb, to marry again, and to take care of their children. He was not able to keep his fourth promise. He was overthrown (taken out of power) by his son and was put in prison for the last years of his life. His prison room, however, had a window that looked out over the Taj Mahal. Each day and each night, he could look at the tomb he built for his beloved wife. When he died, Shah Jahan was buried in the Taj Mahal next to his beloved wife, Mumtaz Mahal. There, in the monument built to honor their love, their memory rests for all time. 1. What does "prosperous" mean? 2. What does "tomb" mean? 3. What does "grief" mean? 1. Because of it's rich history and culture, India is _________ country of many beautiful places and traditions. 2. Shah Jahan _________ one of the greatest emperors of the Mughal empire. 3. Each day and each night, he could look at the tomb he built _________ his beloved wife. 1. How many children did Shah Jahan and Mumtaz Mahal have? 2. 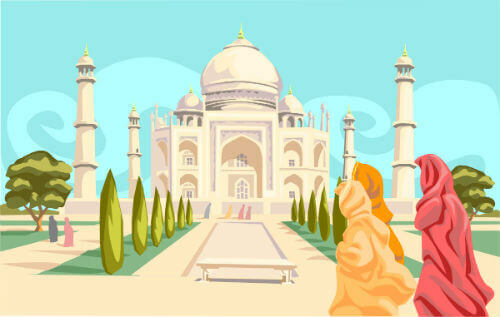 What were the 4 promises that Shah Jahan made to his wife, Mumtaz? 3. Where were Shah Jahan and Mumtaz Mahal buried?